Like many builders, Todd Lozier got his start at a young age in the family construction business. “I felt like I was an owner at 16,” he says. But it would be another 26 years before Lozier took over as president. Since then, he has brought a series of changes to the company, including the use of cutting-edge technology that truly differentiates Lochwood-Lozier Custom Homes from its competitors. Lozier’s family history seems to have genetically hardwired him to have an entrepreneurial spirit, the courage to take risks, and a focus on the luxury market. More than 100 years ago, the Lozier Motor Company was producing some of the nation’s most expensive cars. The next generation of Loziers became successful general contractors in Omaha, Neb. But they felt opportunity was limited there, so the family headed west for bigger things, Lozier says. In 1958, in a prescient bit of decision-making—Bill Gates was just a toddler at the time—Lozier’s grandparents decided that Bellevue, Wash., would offer good opportunities for builders and could be a lucrative place to stake a claim. “The Seattle World’s Fair was around the corner, in 1962, and there was a new bridge that would be connecting Seattle to Bellevue,” says Lozier, adding, with a wry smile, “To hear my grandfather tell it, they built their first homes from scratch in 10 feet of snow, even though it never snows here.” By the 1970s, the Loziers were one of the largest production home builders in Washington state. By 1983, Lozier’s father—who wanted to pursue design work and focus on custom homes—left the company. As part of the separation agreement, he was required to alter the company name because he’d be operating another building company in the same town. He chose Lochwood-Lozier for two reasons: He knew that for marketing purposes, having two names would give the company more cachet. He created the name “Lochwood” as a nod to the “Lakewood,” one of the family’s 1910 four-cylinder touring cars. 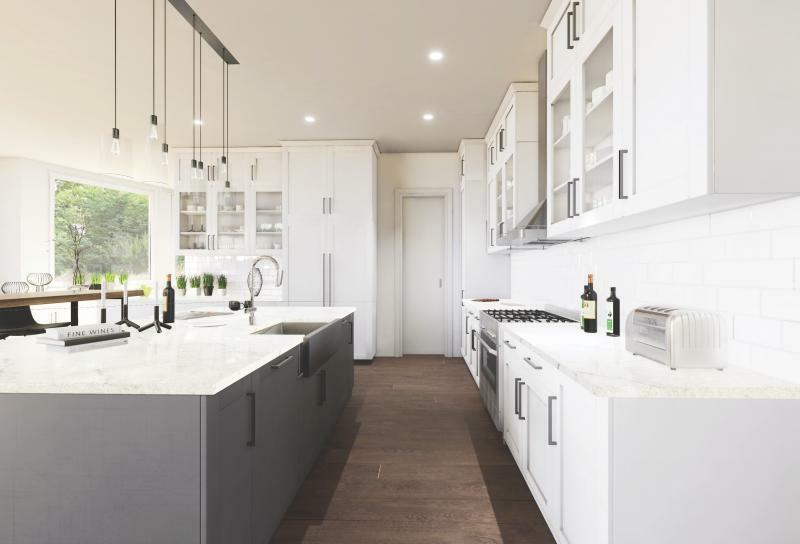 Lochwood-Lozier used Radical Galaxy to create this virtual reality rendering of the kitchen in a new 5,000-square-foot custom home built in the Bellevue, Wash., area. “The other reason is that adding Lochwood would put him above his brother and Lozier Homes in the White Pages,” Lozier says with a laugh. By the time he was in high school, Lozier was “all in” on the idea of working with his father on custom homes. He started out making $5.50 an hour, but his father wouldn’t give him a raise until he had a college degree. He graduated in 1983 from the University of Washington’s School of Architecture with a degree in building construction. In 2005, he became vice president of Lochwood-Lozier, and when he completely took over in 2010, he solidified a succession plan. His father is now fully retired. The company has 34 employees, eight of whom work in the landscaping division. Total company revenue is about $25 million. 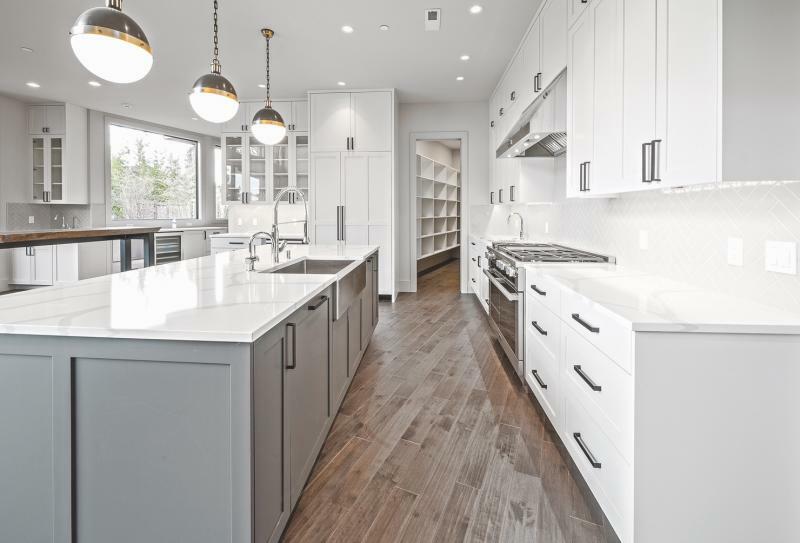 Although he doesn’t advertise it as such, Lochwood-Lozier is a design/build firm, and it also takes on projects designed by outside architects, building eight to 10 custom homes per year and doing about 15 to 20 remodels. Typical homes measure 5,500 to 6,000 square feet and cost anywhere from $1.5 million to $1.6 million, not including the land. The budget for a recent remodel was $3.4 million. 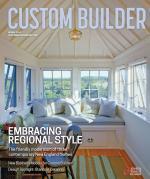 Clients purchasing custom builds at that level are discerning and sophisticated, particularly in the high-tech demographic that makes up Lozier’s market. This is the actual built version of the rendering shown above. Although the clients had selected the products shown in the rendering, during the build they changed their minds and chose what’s seen here. The owners, who love their home, told Lochwood-Lozier they appreciated the VR tool and how real it felt to visualize the spaces in this way. Virtual reality (VR) offers a computer-generated simulation of a three-dimensional environment in which viewers can interact with their surroundings—not to be confused with augmented reality (AR), which adds digital elements to a live view. Lochwood-Lozier teamed up with Seattle-based Radical Galaxy, which works with companies to create VR, AR, and mixed-reality material for their projects. It works this way: After Lozier’s (or the external) architects have designed a home and made the selections (floor, tile, wall color, hard surfaces, sometimes furniture) with their client’s input, they send Radical Galaxy 2D drawings as DWG files. These include floor plans, elevations, dimensions, measurements—“basically what would be in a 2D set of drawings,” Lozier says. In a process that takes about two to three weeks, Radical Galaxy inputs that information into its program and produces a VR file. Clients come to the office, put on a headset, and get to virtually walk through their home. Some opt for an exterior and interior look, and some just look at particular rooms. “They can check for potential problems,” Lozier says. For example, one client used the system to go through his kitchen. He realized the distance between the bar table and the kitchen island was too narrow. Lozier’s team was able to revise the drawing in CAD to make that space more comfortable. They sent the file back to Radical Galaxy and then had the client walk through again to sign off on it. Stacey Freed covers design and the built world from her home in New York state. Comments on: "Forward Thinking with Virtual Reality"